Jasmine Kanuga is a renowned member of the Esports community as a Tournament Manager and Admin. 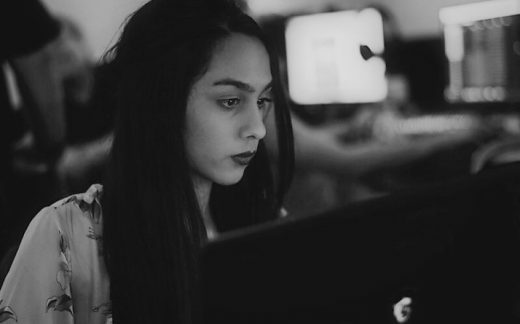 As an aspiring game designer, studying Games Design and Development at University, and simultaneously growing the number of Tournament Organisers she has worked for, Jasmine started off her involvement as a volunteer at UK LAN events. As she volunteered for multiple events such as ‘Insomnia Gaming Festival’ and ‘epicLAN’, other tournament organisers noticed her work, and many were recommended her as an Admin for their tournaments. After volunteering for over a year at ‘Insomnia’, Jasmine was offered the position as Tournament Manager for CS:GO. She now does work for Tournament organisers such as ‘FACEIT (with whom she most recently achieved her dream of Admining a CS:GO Major for), ESL, UK Masters, Insomnia and epicLAN’. However, her reach has extended beyond the UK, as she also works at international events for events such as ‘DreamHack and BLAST Pro Series’. In addition to this, Jasmine has also made a number of appearances within mainstream media in order to inform and showcase the world of Esports as she did a segment on BBC Newsbeat about Esports at the London CS:GO Major, BBC Radio One, BBC Breakfast segment, was the main contestant in an Episode of a GINX TV show, and was also nominated as a finalist in the ‘Women In Games Awards’ for two years in a row, as well as the ‘Esports Industry Awards’ as ‘Unsung Hero of the Year’.